iPad like iPhone and iPods have got immense love form the gadget freaks. More and more number of people are making iPads as their pick. After shelling out a big amount for the cool gadget, many of you out there are surely on lookout for some cool options that make the experience worth it definitely not pricking your pockets. So here we are with the best free iPad apps which we deem are the apps worth downloading. The apps listed below are sure to make an impression. If you’re the one who has brought or has got an ipad as the Christmas or New Year gift, then this article is indeed for you. While preparing the list I came across oodles of incredible apps. I selected best free apps that I’m sure will provide you with the great experience. These apps lend additional functionality to your i-connected life. Jotted below are few of my favorite apps that I felt deserves a mention. So, here’s the list what I think iPad users without a second thought would love to download and install. Each app comes free. What else could be asked for? Sit back and enjoy the joyride! With the SugarSync app you can check all your data at your fingertips that too anytime, anywhere from your iPad, iPhone or iPod Touch. With SugarSync, you can instantly access cloud-synced files, photos and music from your other gadgets. Besides viewing you can share files/folders with friends. 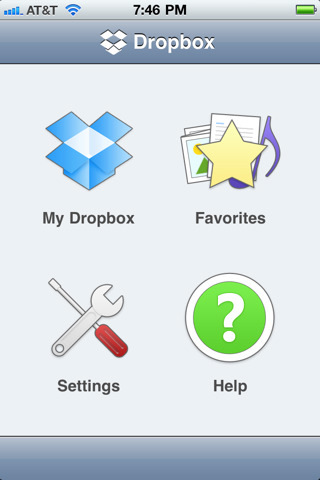 Dropbox is the easiest way to sync and share your files online and across computers.The Dropbox iPad app lets you view photos, videos, documents, and presentations in your Dropbox on the go. You simply need to have the Dropbox account and you’ll be able to make the optimum use of it anywhere anytime you wish to. Doodle Buddy is an app for iPad that lets you have fun with your fingers. Finger paint with thousands of colors and drop in playful stamps with the Doodle Buddy app. It’s one intuitive task manager that lets you automatically synchronize your tasks across all your devices, access and manage your tasks using any browser and lots more that too free. Note Hub is an app that lets you create projects with unlimited notes, drawings, task lists, web browsers, maps and much more. This thumbnail driven app is a unique approach to creativity on the iPad. Evernote is an app that actually turns the iPhone, iPod Touch and iPad into an extension of your brain, enabling you to remember anything and everything that happens in your life. 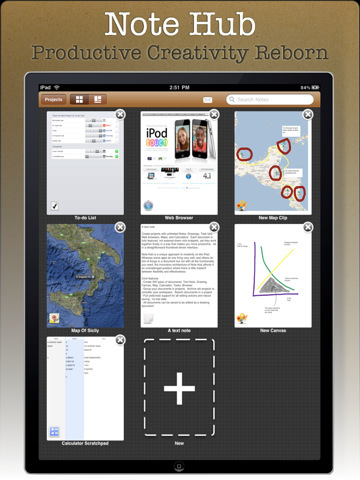 It lets you create text, photo and audio notes and synchronize all. 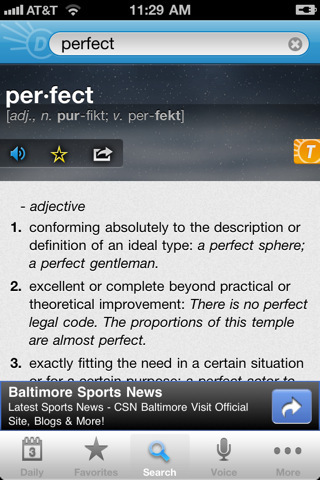 The free Dictionary.com app for your iPad will deliver the trusted reference content from Dictionary.com and Thesaurus.com along with 1,000,000 words and definitions and 90,000 synonyms and antonyms. You don’t need to have an internet connection to look for meaning of the word that comes to your mind. The app also features audio pronunciation, voice-to-text search and Dictionary.com’s popular “Word of the Day” and “Hot Word blog”. As the name hints, the Science Glossary iPad app provides you with the scientific terms and short biographies. All definitions link to related terms are available for free. 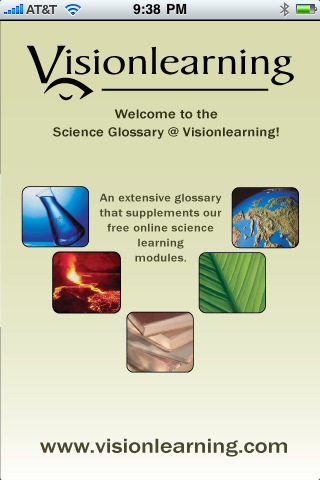 Though geared for high school and undergraduate student, the glossary and modules are appropriate for anyone interested in science. 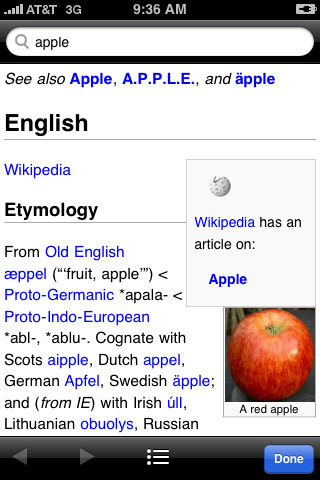 The Wikipanion iPad app lets you accessing Wikipedia in easier, faster and fuss free manner. 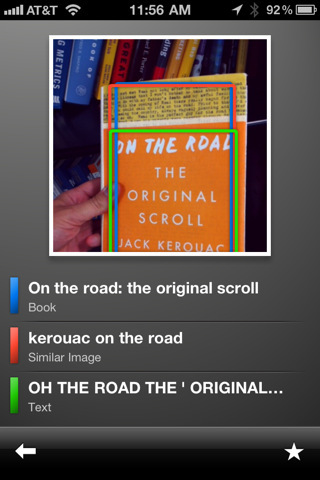 The app lets you easily search, navigation and display of Wikipedia entries. Also, you can streamline your browsing with history grouped by visit date and bookmarking the entries. With the Google Mobile iPad app you can search Google quickly using your voice, pictures, and location. The app links to Google’s other applications to let you easily navigate to them. Bing iPad app enables you to discover what’s relevant near you and complete tasks more without much fuss. Tell Bing what you are looking for with voice activated search and Bing will find it out. Find shops, images, show times of movies, travel deals, airfare price predictions, flight information, weather forecast and much more with the Bing App. Rhythm Racer 2 HD is an amazing game that lets play and enjoy the music too. It’s a blend of racing game and guitar hero. You need to tilt your iPad left or right to steer and pickup power spheres side by side enjoy songs. It’s fun to play and steers easily. Enjoy the game and music with this free and fun filled Rhythm Racer 2HD iPad app. 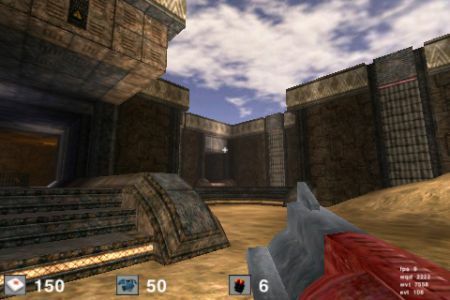 Cube is an editable, open source app that comes with multiplayer to add to the excitement. It’s a single-player/multiplayer game-play that’s totally fun-filled. Download it for free and you can get yourself engaged. 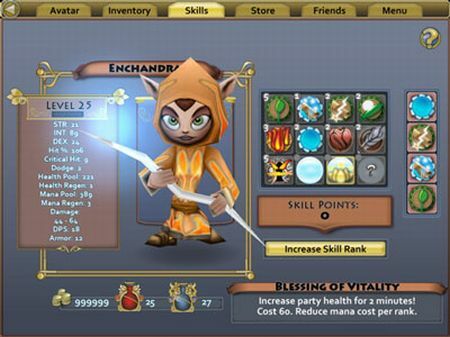 Pocket Legends is a Mobile MMORPG/massively-multiplayer online role-playing game that can be played with any number of people from around the world. Join thousands of players from around the globe, play with your friends and make new friends online and enjoy! You have to cooperate to undertake wild adventures! We all know that the iPads come fully loaded with amazing range of default games but gaming freaks like me are always on lookout for more cool games. 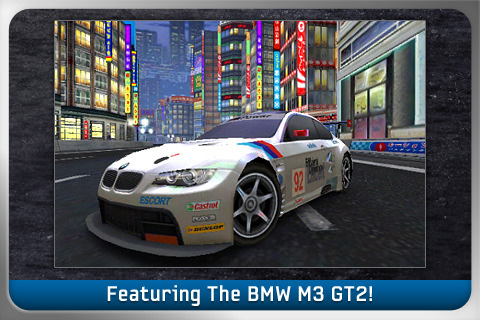 Need for Speed Shift is a free gaming application from Electronic arts that helps you to play the popular car game. 10 Pin Shuffle is one of the most addictive, ‘pick up and play’, 3D bowling games. 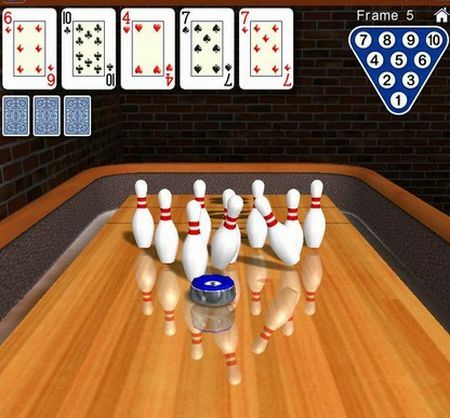 The Pin Shuffle HD Bowling Lite version includes 10 Pin Poker. You need to bowl at the pins with a puck on a bar room shuffleboard table and you will be able to witness the powerful Newton physics engine deliver some of the most realistic 3D bowling pin physics. 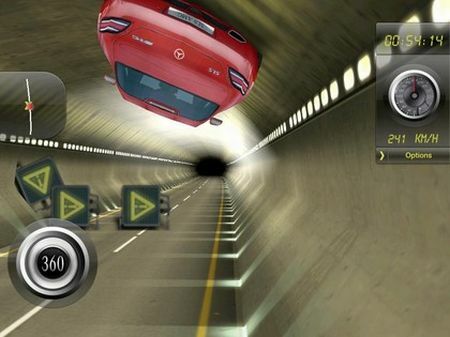 SLS AMG HD is one fun iPhone gaming app that’s available for the iPad too. Graphically updated, the app let you enjoy the super-sports car to the fullest. 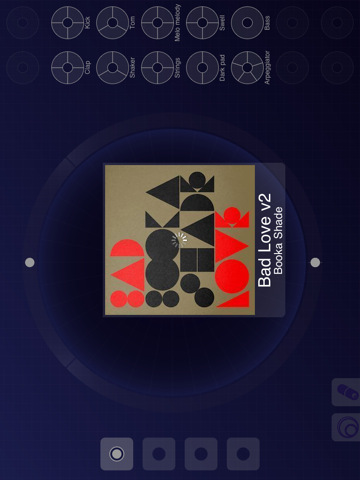 Pandora Radio is a personalized radio that’s available for free download. Once you have downloaded the app, you can start with the name of one of your favorite artists, songs and create a station that plays their music. 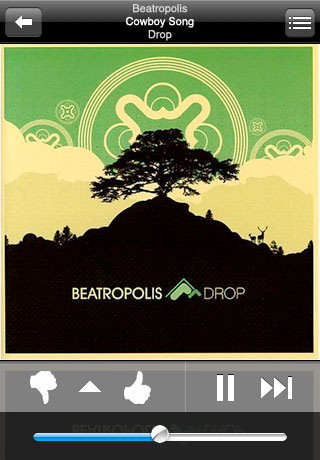 If you’re the existing Pandora user then you just gotta log in and just enjoy your favorite tunes. The RJ Voyager is a free iPad app that makes you a DJ. Touch interface of the app enables you to navigate into the new world of RjDj scenes from mad techno drum machines to deep Dub Step experiences. As the name hints, the Movies by Flixster is a movie app that lets you watch movie trailers, find show times, get critic reviews. 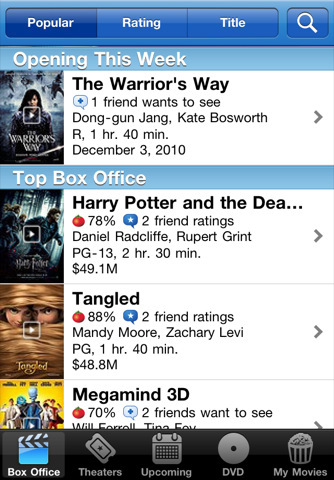 Besides this you can share movie ratings with your friends. All this totally free! Netflix on your iPad will enable you to instantly watch TV shows and movies streaming from Netflix. Become the member of Netfix and check out the information on latest movies. Aweditorium is an incredibly beautiful app that reimagines what a music experience feels like on iPad. 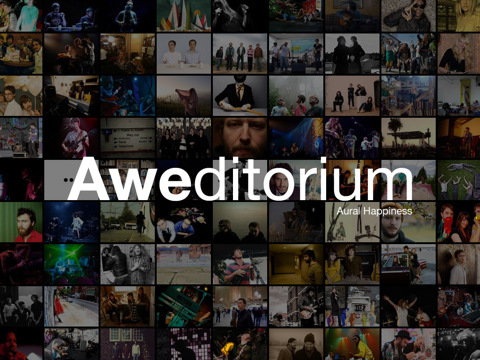 From photography, lyrics, high definition video, interviews, the Aweditorium app provides fun and intimate experience on a multi-touch display. The ABC Player app lets you enjoy your favorite ABC shows right on your iPad! 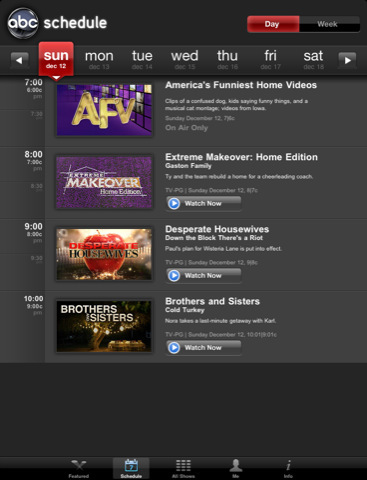 Download the ABC Player app and watch your favorite ABC shows for free on the iPad wherever and whenever you want. Name says it all! The New York Times app for iPad is available for download. It includes sections, articles, videos and photos from The New York Times. 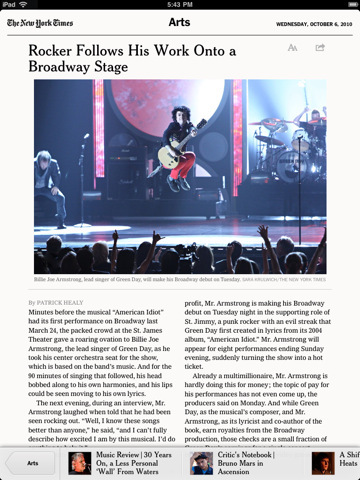 The NYTimes app for iPad comprises of more than 25 sections, including viz art, style, technology and others. 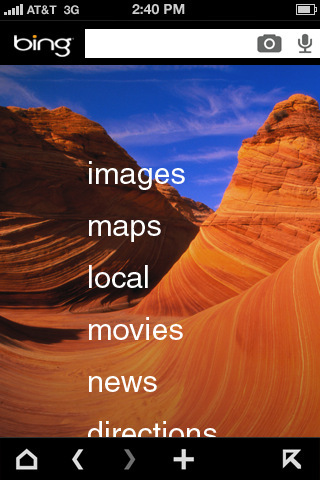 Fluent News allows you to create up to three custom sections based on the keyword searches. You can control the content by promoting one news source and disabling one news source. Unlimited custom sections and source filtering is available for a fee. The Fluent news comes with complete articles without load-time delays, text pinching and is the fastest app for reading news. All those of you who are the Wall Street Journal subscriber can get the full access to the iPad app. You just gotta log in to the app with your WSJ username and password. 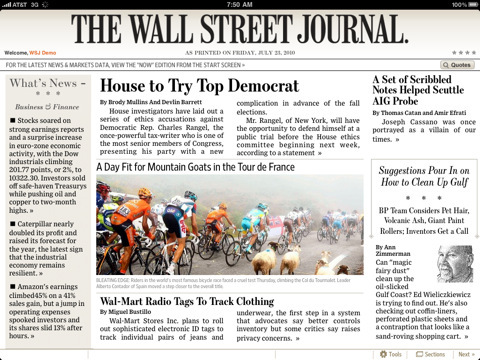 You can now experience the Wall Street Journal’s award winning coverage on your iPad. Some people are so addicted to news and current affairs that no matter wherever they are. Flipboard is designed keeping such people in mind. 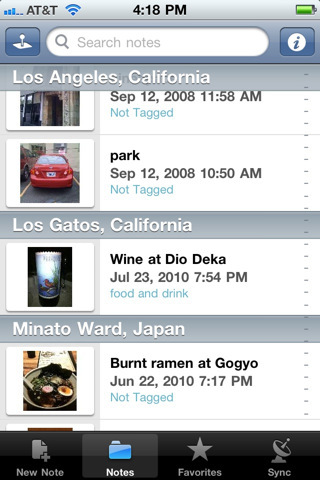 It’s an app that lets you beautifully flip through the news, photos and updates of your friends are sharing on Facebook, Twitter, Google Reader and Flickr. 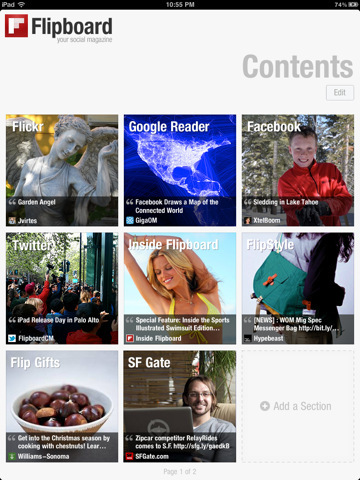 You can easily customize your Flipboard with sections created from your favorite people and much more. The nation’s news is now at your finger tips with the USA Today iPad app. The USA Today as y’all know is updated 24/7. 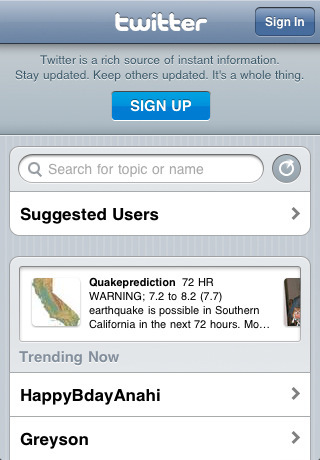 It provides latest news stories, scores, weather, photos, videos, stock market data, and crossword puzzles on your iPad. AP News is a breaking news experience for the iPad. It keeps you up-to-date with what’s happening around the world. 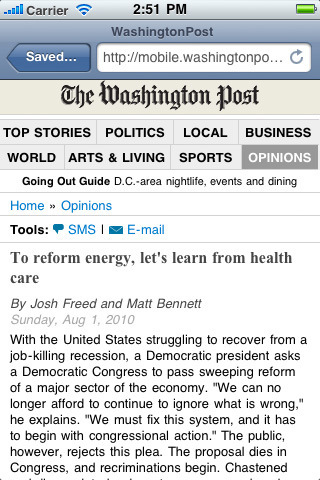 With the AP News ipad app, now all the news responds to your fingertips. 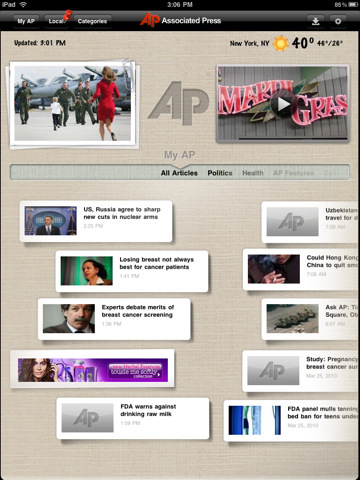 AP News is the most comprehensive news offering available for the iPad. 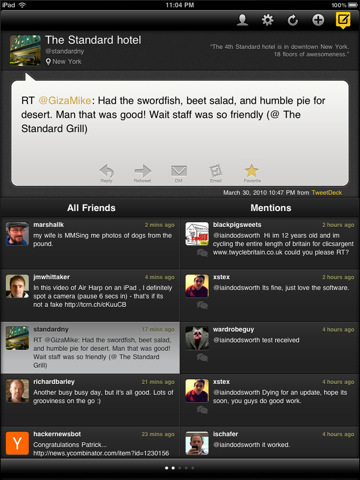 TweetDeck as y’all know is one cool option available to stay in touch with friends. For the iPad users, the TweetDeck app for your iPad comes with the optimized interface to shows you everything you want to see at once, lets you stay organized, share your stuff with your friends. 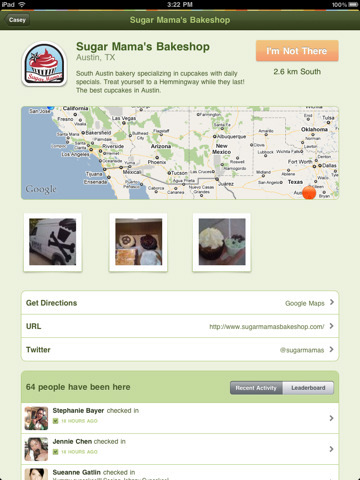 Gowalla for iPad is an app that lets you explore the world around you. Meet with friends, discover local hot spots and share your favorite places and events all without shelling even a single penny. 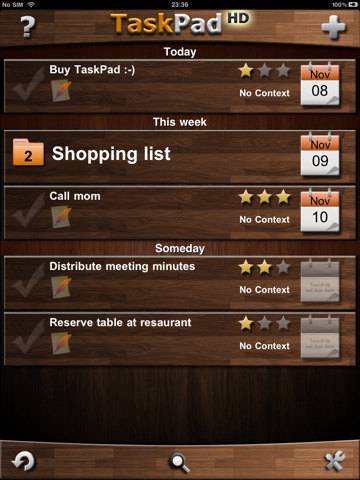 It’s a social networking iPad app that helps you to make free calls to your friends. 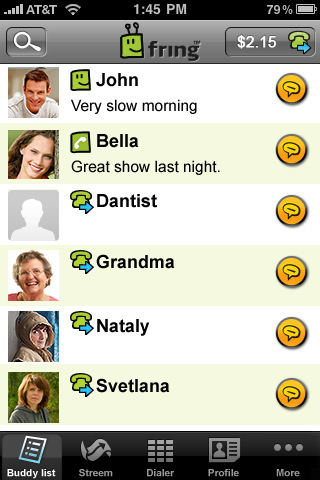 You can download the app for free and bring skype, Facebook, Twitter and other IM accounts under a single roof. Stay connected with your friends wherever you are with this cool iPad application. 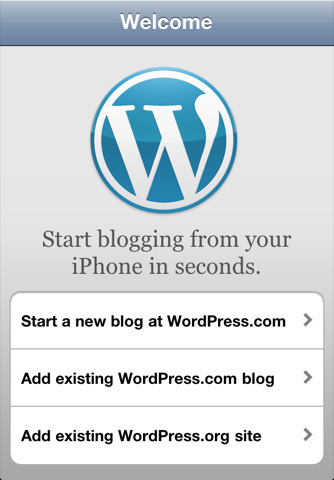 WordPress iPad app developed by Automattic Inc helps you to update your wordpress blog while on the go. For all my blogger friends who actually can’t stay for long without checking the blog, the WordPress theme helps them keep themselves busy with the updation of the blog. User-friendly and responsive; this iPad app comes totally free. All you people who are curious enough to check out new tweets, discover what’s happening in the world with the official Twitter, downloading the Twitter app on yoru iPad will do the tirck. No matter wherever you are, you can do the real time search, check top tweets, trending topics and much more. Who doesn’t know about Stumble Upon? 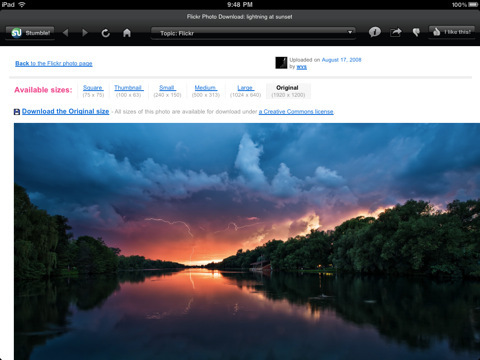 With the StumbleUpon iPad app you can discover and share great websites. As you click Stumble!, high-quality pages matching to your personal preferences are displayed. 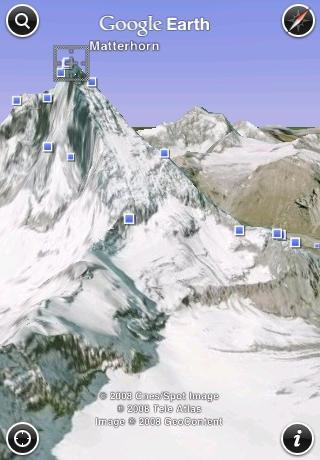 Google Earth iPad app by Google Inc helps us find, navigate and get information about our destinations with ease. The application is loaded with amazing features that provide with reliable information. As the name hints, the Fotopedia Heritage is one of the top 50 apps of all time in Apple’s new Hall of Fame that offers you an amazing range of photos. Providing 25,000 awe-inspiring photos, the app has been called the world’s largest photo book, an inspiring travel guide and an entertaining teaching device. 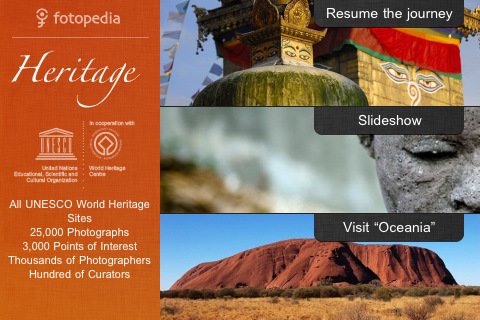 The app was created in cooperation with the UNESCO World Heritage Centre and provides a virtual passport to sites that constitute the world’s collective cultural and natural human legacy. 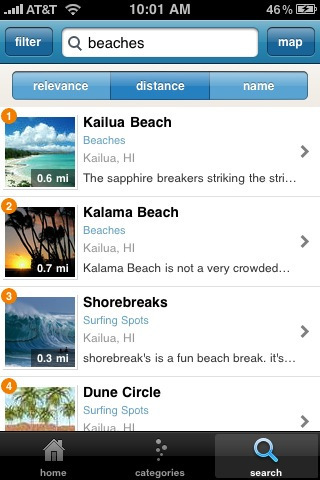 If you are confused what to do in the weekends, which place to travel to, Goby iPad app will help you. Whether you’re traveling across the country (currently US only) or staying close to home, Goby will help you check over 350 categories of things to do in every city and town in the US. Prett cool huh!. 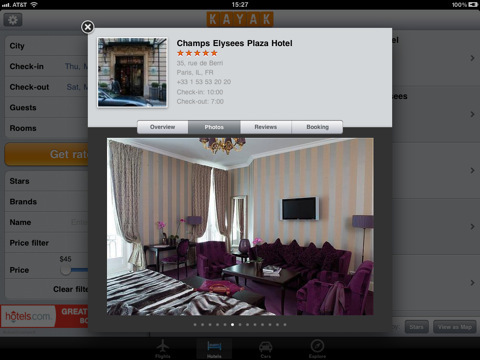 KAYAK HD is a free travel app that brings you the best travel shopping experience for iPad. You can find flights with a fast, touchable, responsive UI. Also, you can explore the hotels of a city including prices, location, amenities, reviews and pictures.